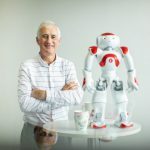 A jam-packed weekend for Irish Sports fans saw European Cup Rugby returning to our screens, with all four Irish provinces in action in both the Challenge and Champions Cup. 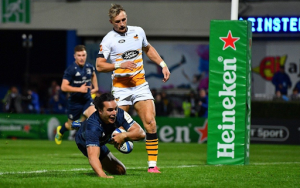 Friday night saw the return of Champions Cup holders Leinster, where they took on Wasps at the RDS, lighting up proceedings in what was a blistering performance from the Blues. Tries from Sean Cronin and Luke McGrath saw Leo Cullen’s men lead 14-3 at the break. However, there was no taking the foot off the gas in the second half, as the defending champions found extra gears in the process. Leinster continued to thrive with Robbie Henshaw, Jack McGrath, Luke McGrath and Jordan Larmour all dotting down. Leinster winger James Lowe continued his flying form this season picking up two tries, which saw the kiwi born starlet pick up the Heineken Man of the Match Award. The final score in Dublin was 52-3, a perfect start. Leinster will go to France next Sunday to face Toulouse. 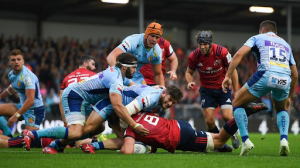 Saturday saw Munster opening their Champions Cup account away to English side Exeter at Sandy Park, in what was a very tight game of few scoring opportunities for both sides. A try saving tackle from Munsters Duncan Williams saw Exeter denied a try 20 minutes into the game, the scrum-half playing a pivotal role throughout the game. The English side did eventually draw first blood with Luke Cowan-Dickie touching down before the break, which was converted by Gareth Steenson, had Exeter leading 10-3 at halftime. The second half saw Munster unlock that defence with a try from number 8 CJ Stander, which was converted by Joey Carbery to level the scores at 10-10. That was the scoreline for a finish, Munster will be content in taking some points on the road against a solid English team. The Red Army will now return home to Thomond Park next Saturday where they will face Gloucester. Elsewhere, Ulster began their campaign at home against Leicester Tiger is what was a very evenly matched first 40 mins for both sides with a score of just 3-0 to the visitors at the break. 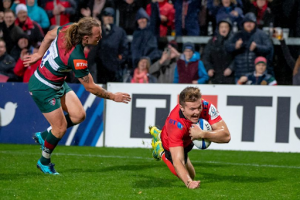 The second half, however, was a very different story at the Kingspan stadium, which saw Ulster scrum half John Cooney play a key role in tries from Alan O’Connor, Will Addison and Jacob Stockdale which secured victory for Ulster. Ulster will now travel to Paris next Saturday evening to face last season’s finalists, Racing 92. 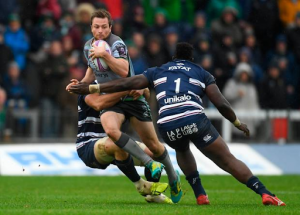 Connacht began their Challenge Cup run with a victory over Bordeaux Begles on a dull day at the Sportsground. The men from the west ran out 22-10 winners in the end, with two tries from winger Kyle Goodwin that assured him a match of the match award at the end of the game. Ireland international Finlay Bealham added Connacht’s third try to kill the game off, with out-half Jack Carty adding the extras with the boot. The game was noteworthy though for three of Connacht’s team, who each made their debuts. The Irish qualified Lock Joe Maksymiw, Conor Fitzgerald and Colm de Buitléar, all got their first taste of senior rugby in Galway. De Buitléar in particular, is a Connemara man and proud Gaeilgeoir, who began playing the game at An Ghaeltacht Rugbaí, before continuing with Galway Corinthians. The 20-year-old certainly looks to have a bright future ahead of him after his teams winning start to the competition. Connacht coach Andy Friend will now look to next Saturday where his side will travel to the AJ Bell Stadium to face Sale Sharks. 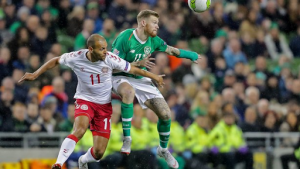 Saturday evening saw our attention turn from the oval-shaped ball to the round one as the Republic of Ireland were back in Nations League action against Denmark at the Aviva Stadium under lights. Premier League fans player of the month Matt Doherty got the nod and got the much-deserved start in a what was a very dull affair in front of 41,220 in attendance. The only real excitement came 5 minutes in when Harry Arter took to the turf, and the Danes stopped in the act of Sportsmanship, just waiting for the ball to be put out of play so the Cardiff City Midfielder could be attended to. 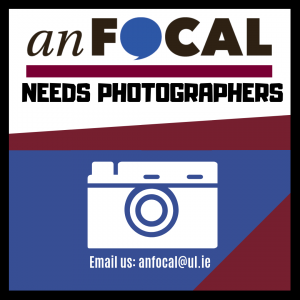 Although not aware of what has happened to Arter at the other end of the pitch, the Dubliner blasted the ball wide in a situation he should have capitalised on in what was an otherwise lacklustre performance from Martin O’Neill’s side. The only positive the Republic of Ireland team can take from the game is having kept it’s first clean sheet in seven while getting one point on the board as they look forward to welcoming Wales to Dublin on Tuesday night. Enjoy Sport? Tune into “Beyond The Game” on ULFM every Friday from 1-2pm, for the latest Sports news, views and updates.